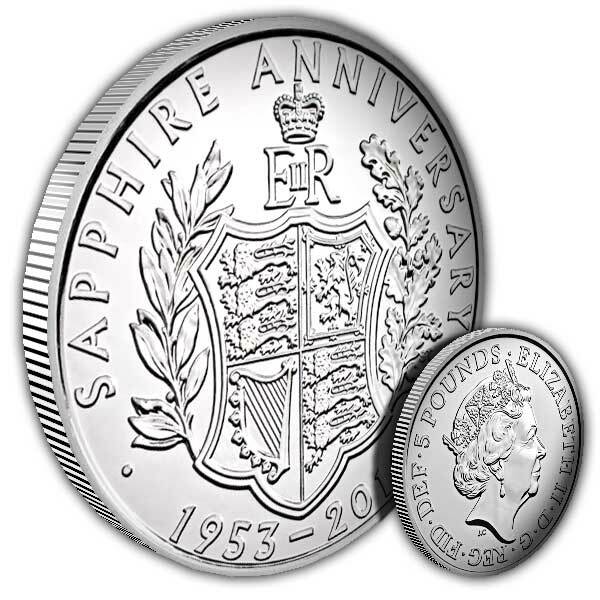 The coin includes a unique design produced by Stephen Taylor, one of the Royal Mints own graphic designers. Each coin is dispatched in a presentation folder, where you can view the story of the events 65 years earlier and discover more about the specifically developed coin. 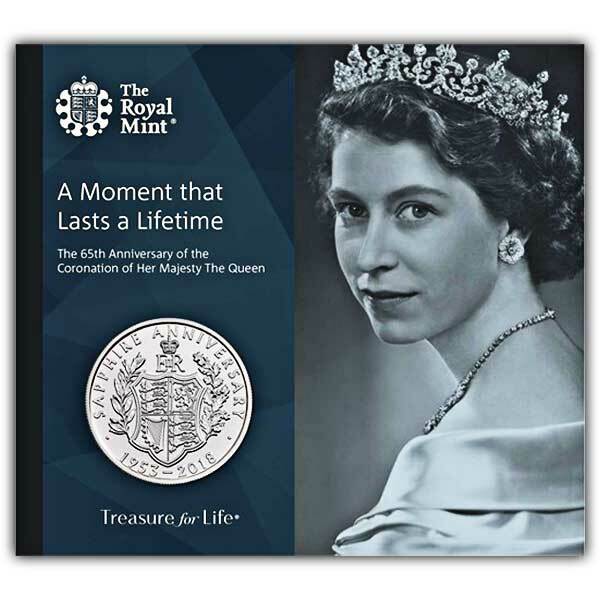 The Royal Mint is happy to have been there for every anniversary and so many of other events for the growing Royal Family. Struck in the year of the sapphire anniversary of The Queen's crowning and year-dated 2018, it is an enduring gesture of this extraordinary time in Royal and British history. The usual excellent service from Island stamps and coins, I cannot fault the service that I have received, I have ordered a set of coins from a competitor, and have been treated awfully waiting upwards of 5 weeks, but NOT Island stamps and coins, they are excellent in the way they treat their customers. Keep up the good work.